A leader is someone who knows the way, goes the way, and shows the way. When it comes to hockey, a locker-room isn’t complete without guidance. A team isn’t complete without older players that play a strong mentor role in the development of prospects. 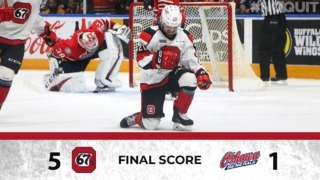 Sometimes the organization will bring in more experienced players for when times get tough, and in this regard, falling behind 3-1 to the first-place Hamilton Bulldogs. 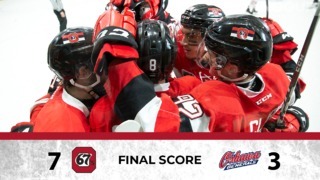 In the 2017/2018 OHL season, a few players entered the Arena at TD Place for the first time as a member of the 67’s, skaters, Merrick Rippon, Shaw Boomhower and Jacob Casgagnette, alongside goalie, Olivier Tremblay, laced up for a fresh start. Bringing in new faces to an organization can sometimes be a hurdle for current members of a team. It varies from figuring out certain personalities or in hockey, figuring out how they play the game. Adapting to new additions takes time but nobody truly faces the adversity as the new players do. Not only do they have to pick up on characteristics and traits, but they need to learn an entire new system, structure and playing style. When it comes to hockey, transactions are made to improve the team whether it’s for the future or for the present. 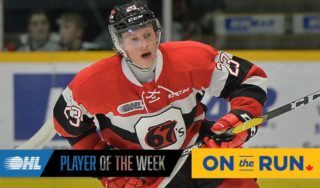 In the case of the Ottawa 67’s, they added a few pieces during the season that clearly was meant to make an impression now. Starting off the season, the Barber Poles were a youth-infused group with minimal experiences when it comes to junior hockey. Obviously, there was already a foundation in place with Sasha Chemelevski, Travis Barron, Tye Felhaber among other pieces, but to form a structurally-sound environment you need character, and in this case, veteran presence. By going out and acquiring the guys they did, they created a stronger culture. Players like this are responsible for bringing a positive atmosphere on-and-off the ice. When someone is knocked down, they help them up. If anybody can rally the boys to a comeback, it’s the veterans on the roster. The guys that have been in situations similar to this one can rely on experience when it comes to attitude, mentality and character. 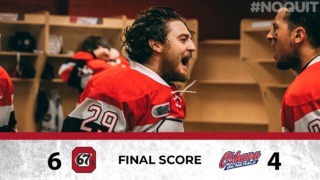 There’s a purpose for everything and bringing these veteran players into the 67’s locker-room is all falling into place now. We need leadership, we need the guys who have seen this scenario before to lift everyone’s spirits up and ultimately, be the teammate and player Ottawa needs.